Home to a high concentration of tropical rainforest and diverse wildlife, the small town of Quepos attracts nature lovers from all over the world. Located in the Puntarenas Province of Costa Rica, this exotic travel destination is the gateway to a world famous national park, nature reserves and the world’s second-largest barrier reef. Check out all the amazing things you can see and do in Quepos. 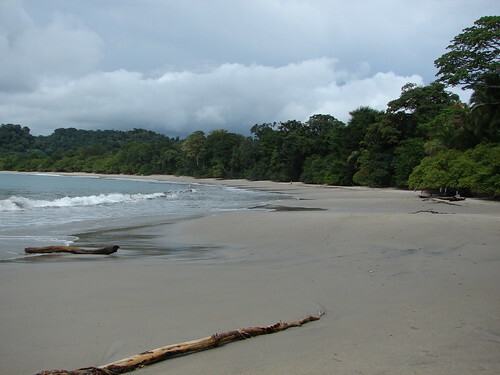 The most popular attraction of Quepos is the world-famous Manuel Antonio National Park. It may be the smallest national park in Costa Rica, but the Manuel Antonio National Park is also the most visited national park in the country as well as one of the most beautiful in the world. With diverse landscapes ranging from pristine beaches to coral reefs and lush tropical rainforests, the park is home to an abundance of wildlife. A visit here allows you thrilling adventures like snorkeling, scuba diving, sea kayaking, sport fishing, whale-watching, whitewater rafting on the Naranjo River, and jungle hikes that offer you scenic overlooks, waterfalls and glimpses of wildlife like Scarlet Macaws, toucans, howler monkeys, sloths, iguanas and more. Just four miles from Manuel Antonio National Park is the charming village center of Quepos. Here, you will find a vibrant six-block plaza lined with shops, restaurants, bars, art galleries, bakeries, banks and plenty of hotel choices. In addition to the national park, Quepos also offers nature reserves where you can experience the splendor of the tropical environment through a number of fun activities and adventures. Accessed by 4×4 rentals, the Los Campesinos Reserve features a huge suspension bridge and miles of hiking trails where you can explore waterfalls, swimming holes and exotic wildlife. At the La Selvita Nature Park and Biological Reserve, you can experience the rainforest and all its glorious treasures with adventures like hiking, canopy ziplining and ATV riding tours. The Damas Estuary offers you the rare opportunity to explore the tropical wetlands by kayaking or boating to see native species like crocodiles, white-faced monkeys, iguanas, herons and more. Another natural attraction of Quepos is the Damas Cave system. Teeming with huge chambers, stalagmites, stalactites and wildlife, these totally unaltered caves offer an exhilarating adventure. Additionally, the surrounding area of the caves offer hiking trails and natural swimming pools. If you want to view or purchase local art in Quepos, the village offers many art galleries and street vendors selling a variety of works. Popular among many tourists for its unique and original items is the El O’scars Galleria. More than just souvenirs, you will discover fine works of art here like paintings and sculptures. A great way to experience the local culture is to shop for a bargain at the Farmer’s Market in Quepos. Open every Saturday, this lively market features a variety of vendors selling produce, baked goods, meats, flowers, art works and handicrafts. Like most of Costa Rica, Quepos features a hot and humid climate with a dry season between the months of December and May and a rainy season between September and October. Ready to experience the natural wonder of Quepos? You can begin your trip today by checking out the unbeatable deals available online now.